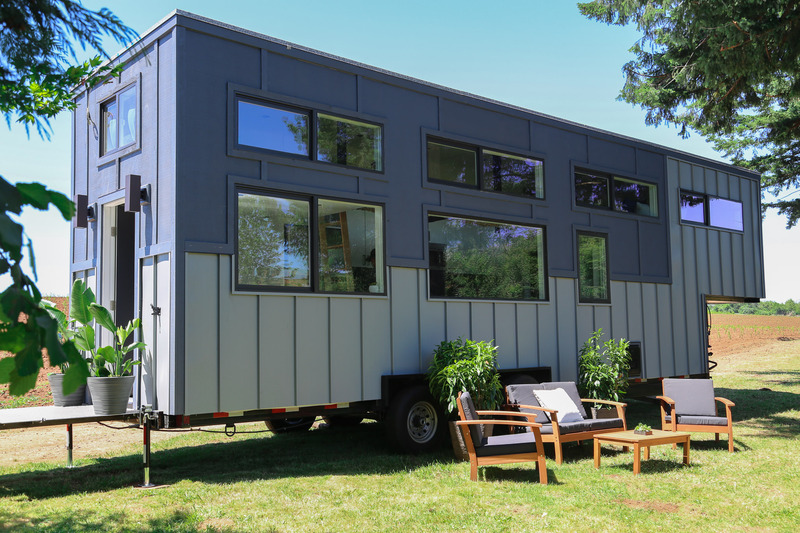 It seems like you can't turn on the TV or browse the web without hearing about the big splash that tiny houses are causing. These houses are as popular as they are small, with thousands of people considering leaving their larger dwelling for a more minimalist form of life. Wondering why you should get on board? Here are five of the best reasons to buy a tiny house! If you've never experienced the joy of a tiny home, you may find yourself wondering what the big deal is. To some, it may seem like an oversized tent or a nicer loft apartment. In truth, a tiny house is so much more. It's still a fully livable home, maximized for all you need with nothing you don’t. Just because it's smaller doesn't mean you'll have to go without the creature comforts of a full-sized home. Enjoy storage space, a cozy bed, a kitchen and dining area, and showers -- all without taking up massive amounts of space. Perhaps the best part of tiny house living is how affordable it is. Sure, you could buy a home for hundreds of thousands of dollars. Or you could build a tiny house for 80% less. That's more money in your pocket to style your home to your liking, and spend on life experiences rather than space in your home that you may not even use very much. The savings don't stop at the home building process, however. On the contrary, you'll really see your savings grow when it comes to heating and cooling costs. Most homes spend over $2,000 on energy bills each year. Since tiny house living takes up less space, there's less surface area to heat or cool. As a result, you end up saving hundreds of dollars each year. And if you're really interested in taking an eco-friendly stance, you can even purchase a solar-powered home to reduce your carbon footprint. According to Psychology Today, physical clutter can turn into mental clutter, making us feel stressed more often. Life is too short to be stressed out! Taking a minimalist approach to your home can help you live a cleaner, happier life and stress less. When it comes to housing, there's not a one-size-fits-all type of solution. And tiny house living is certainly no different. Tiny homes are able to be customized to the individual owner's liking. Whether you're looking to live a life of luxury or want something more modest and cost-efficient, you're sure to find a tiny home that fits your budget and needs. Is Your Dream to Buy a Tiny House? As you can see, the decision to buy a tiny house is a great investment for a number of reasons. You'll get more for less in terms of both space and cost, your tiny house will save you money, you'll feel less stressed out all the time, and you'll even get to customize your gorgeous new home to live large even in a tiny house. Are you thinking of buying a tiny house? Be sure to get in touch so we can bring your ideas to life!